Marquis Lewis’ mother sent him to Catholic School in Los Angeles to keep him out of trouble. It didn’t stop him from becoming obsessed with the graffiti he saw along the L.A. freeways, but it did teach him good penmanship…and led to a fabulous career as a contemporary artist. 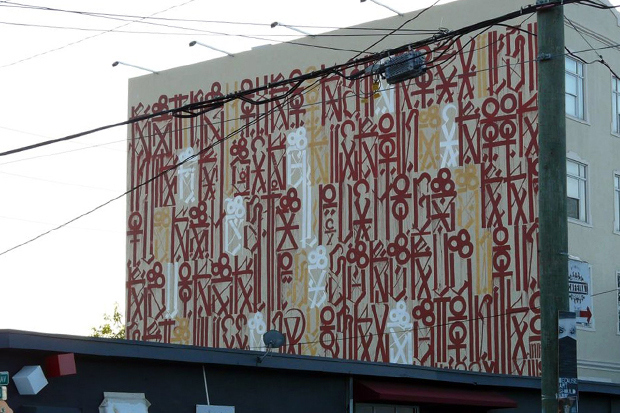 The Old English characters that many of the graffiti artists used, was taken from the LA Times, and he found the look and elegance of the letters intriguing. 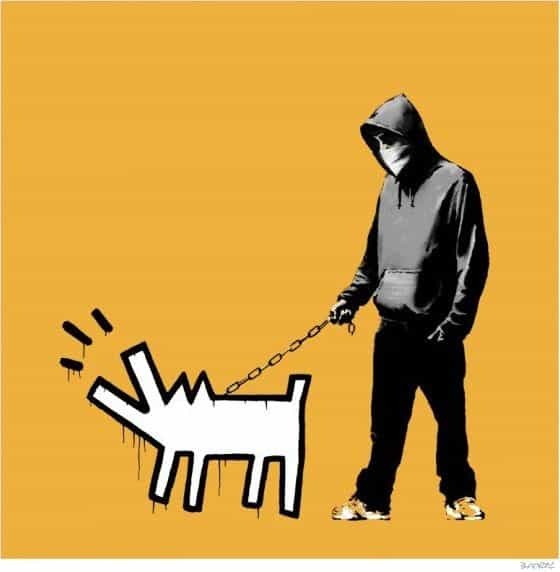 As he got older and began to tag around L.A., he heard the Wu Tang Song, Heaterz. 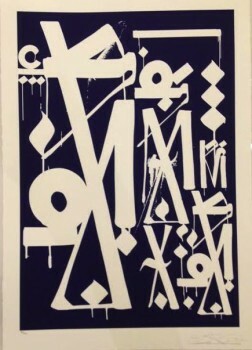 The line, “burns your retina” stuck with him and he took the tag, Retna. 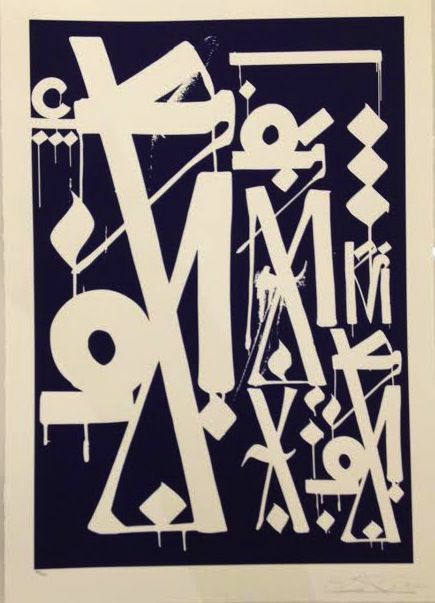 Retna became infatuated with calligraphy and the alphabets of ancient and modern cultures and has studied written texts for the past twenty years. 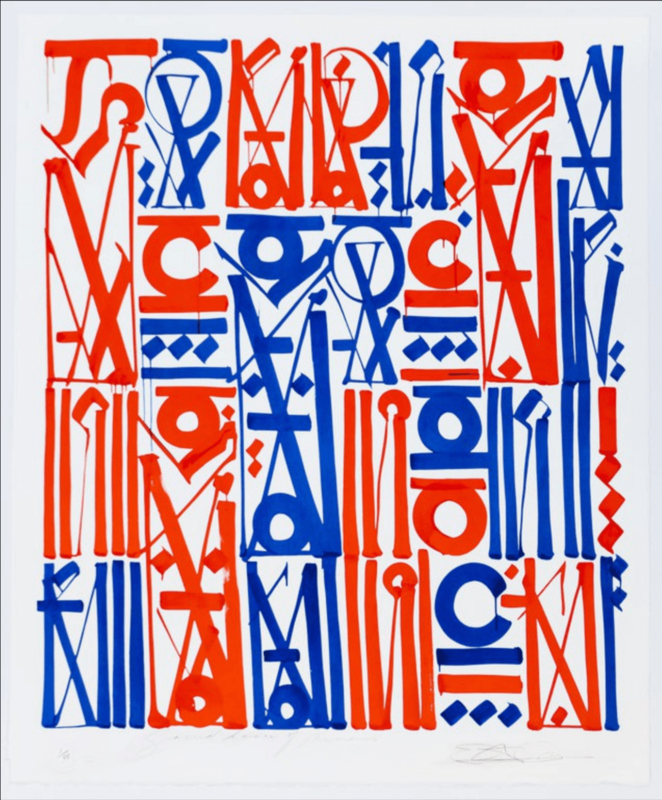 Retna says that because of his mixed ethnic background of African-American, El Salvadorian and Cherokee ancestry, he never felt as if he fit in, and that he gravitated towards creating text that, ”was universal and that anyone could relate to”. 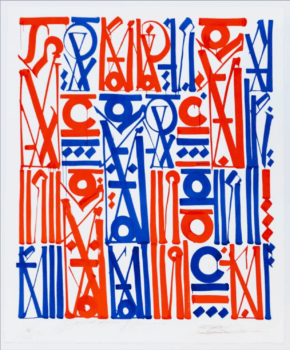 He developed an alphabet of his own, based on his study of Asian calligraphy, the Hebrew and Arabic alphabets, ancient Incan and Egyptian hieroglyphics and pichacao, the Brazilian graffiti style. 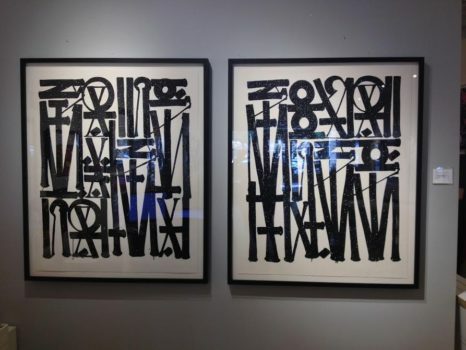 At age 34, Retna has shown his work in galleries in L.A., New York, Miami, London and Hong Kong. 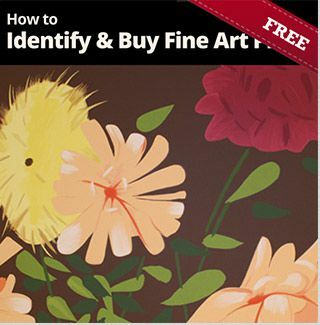 His work has a universal appeal and has been coveted by corporations as well as private collectors. 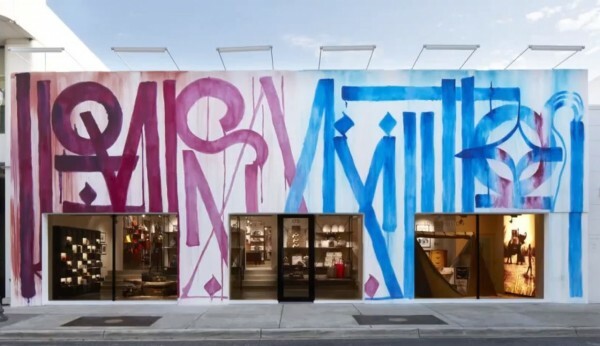 A good example of the clarity that Retna is able to get from his alphabet, can be seen in the mural he did for Louis Vuitton. 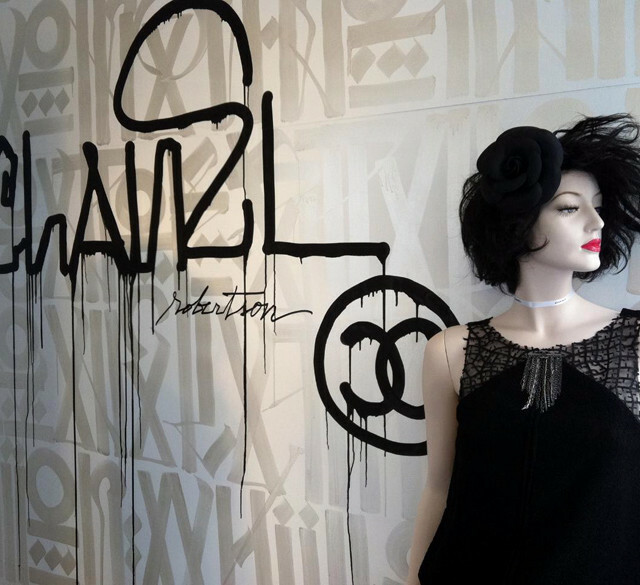 Retna has also design fabric for scarves for the company.He’s also been commissioned by Nike and Chanel. 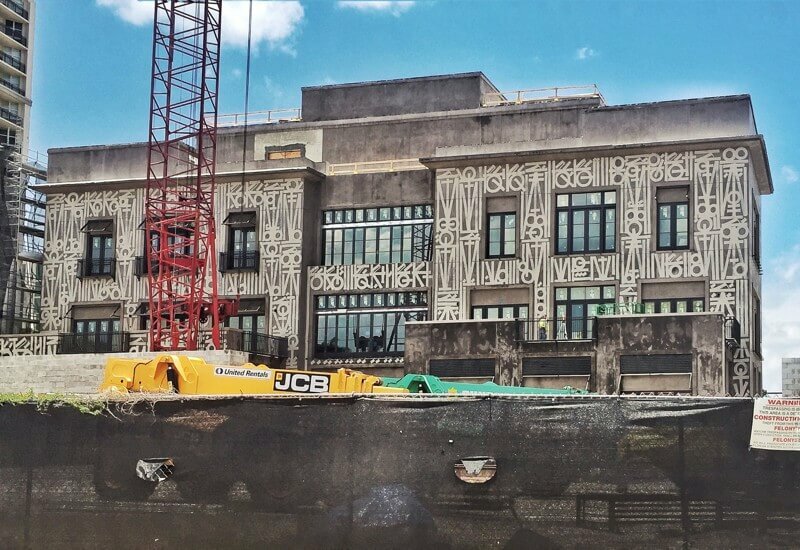 Last year, Shepard Fairey put together a “Provocateurs Show” as part of Lollapalooza. 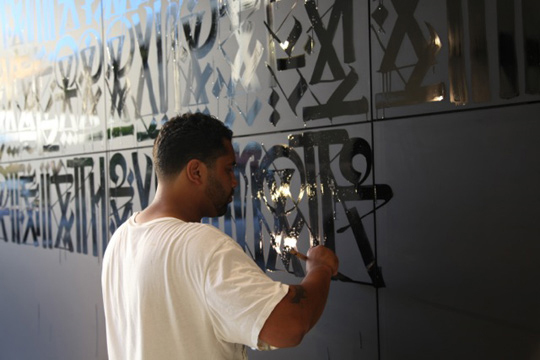 He invited Retna and other street and graffiti artists, who push the boundaries of art, to participate. 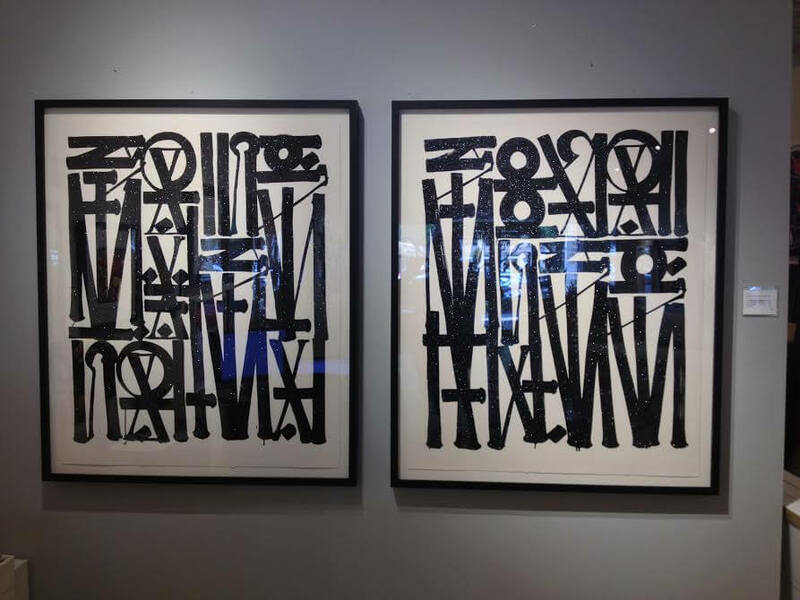 One of the most provocative works from the show is a serigraph by Retna, which we are fortunate to have in our gallery. 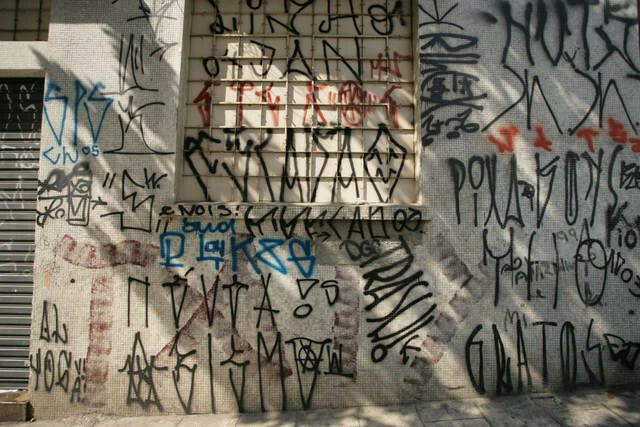 A wall tagged with pichacao, the unique style of graffiti artists in Brazilian cities like Sao Paulo and Rio de Janeiro. 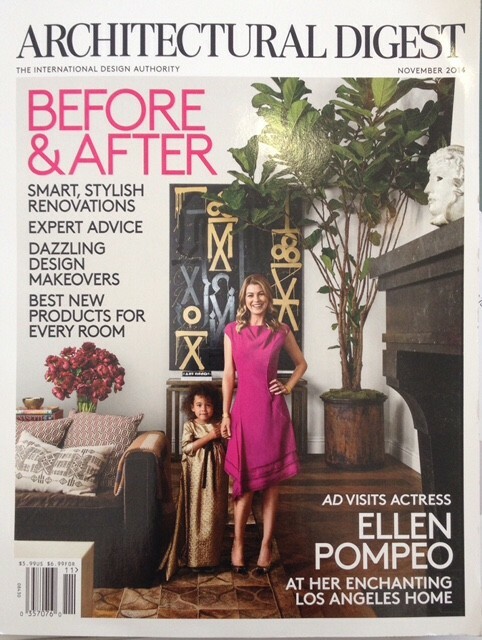 October 9, 2014 Architectural Digest, showing actress Ellen Pompeo’s Retna on the cover. 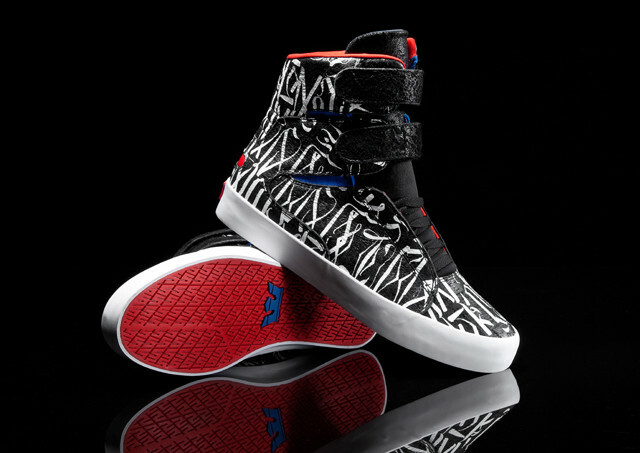 Supra partnered with longtime friend and acclaimed Los Angeles graffiti writer, Retna for “The Retna Society,” a limited edition release. 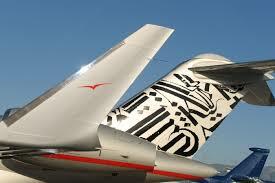 As part of a partnership with VistaJet & Bombardier Aerospace, 31 year old Los Angeles street artist RETNA has hand-painted a unique artwork on the tail of a $60 million VistaJet Global Express XRS as part of his Hallelujah World Tour.